Can you believe it’s mid December already?! CHRISTMAS IS NEXT WEEK. I am so behind on my present buying and decorating but there is one thing which I’m bang up to date on…. 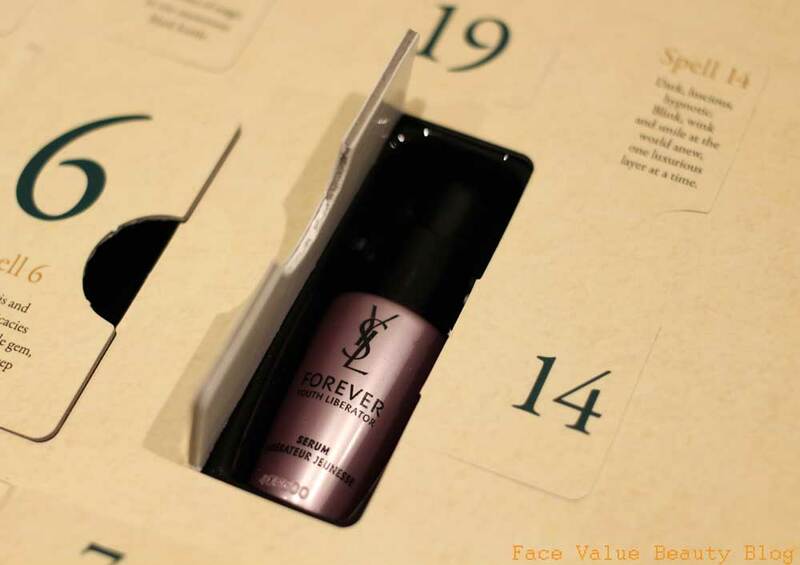 My Selfridges Beauty Advent Calendar!! 12 days and 12 windows later, I knew I had made the right decision. Of the 12 beauty treats so far, I loved 11 of them. Here’s the lowdown on what was behind those windows – you can judge whether you’ll buy one next year! 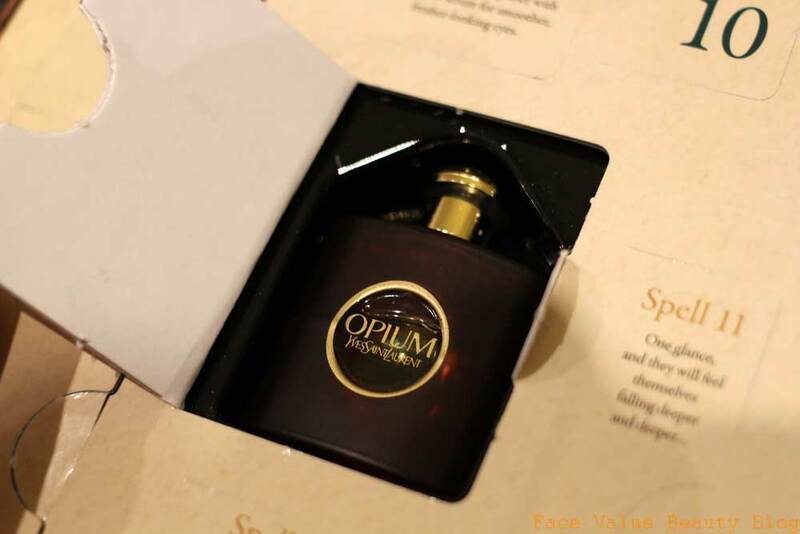 A mini bottle of YSL Opium. What a depressing start, I genuinely immediately regretted buying this – the perfume smells classy but far too old for me. Bleurgh. Even my mum didn’t want it! 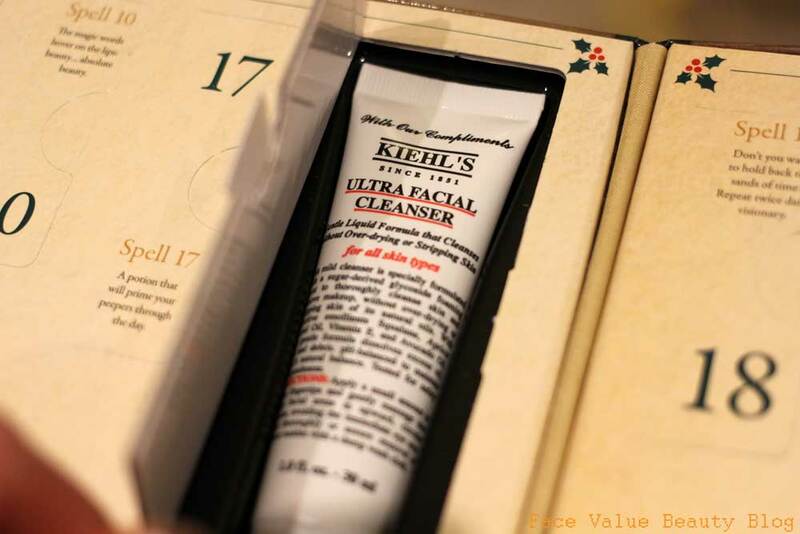 Day 2 – a big improvement, it was the Kiehl’s Ultra Facial cleanser – a gentle liquid gel cleanser made from a sugar derived foaming agent. It reminds me of the Korres White Tea Gel Cleanser – lovely texture, I would buy this full size but I’m not itching to get it just yet. 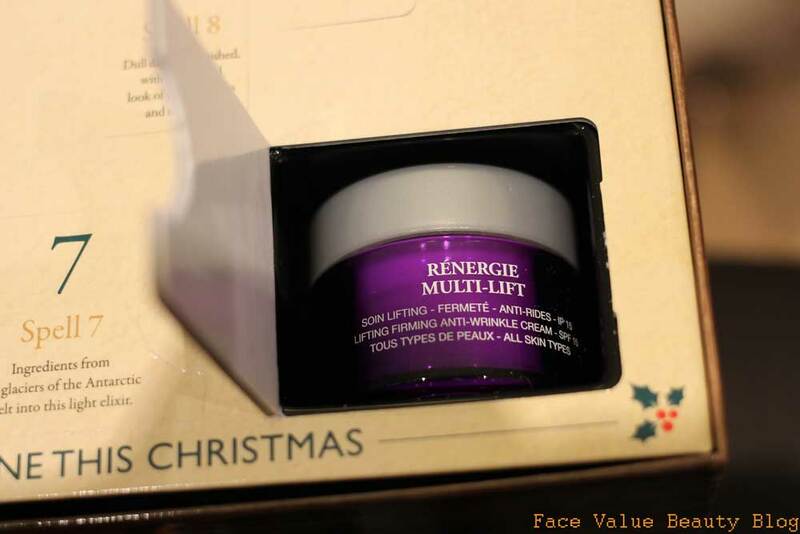 Lancome Renergie Multi-Lift, oooooh. I’m not one for anti ageing creams yet – this ones going to my mum (and she loved it!) If you want to keep it, you can use it on your neck to start. Another Lancome wonder – the Galateis Douceur aka fancy french for ‘gentle softening cleansing fluid for face and eyes’.. 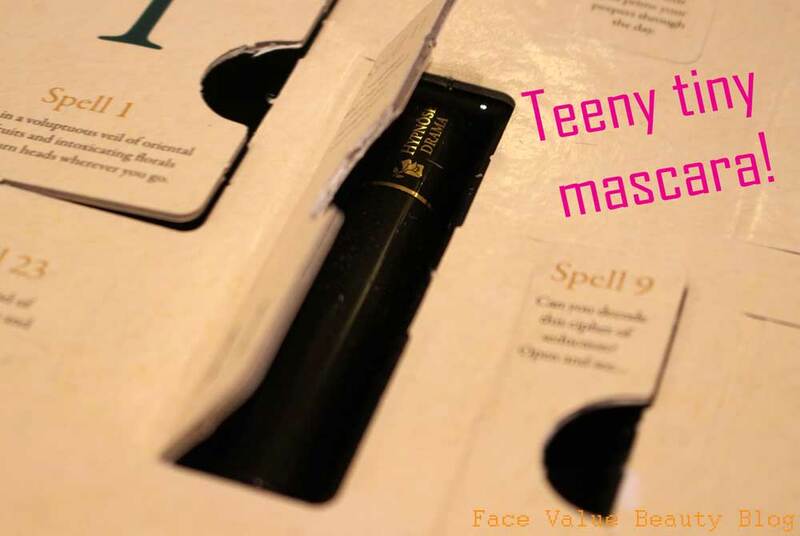 I love using this to remove eye makeup, it’s really easy to use and feels very luxurious. The Shu Uemura Skin Purifier Cleansing Oil – I’ve tried this before and I really like it for cleansing my skin but it’s not amazing at removing eye makeup. Wouldn’t buy the full size but I like it enough to keep using the sample!! 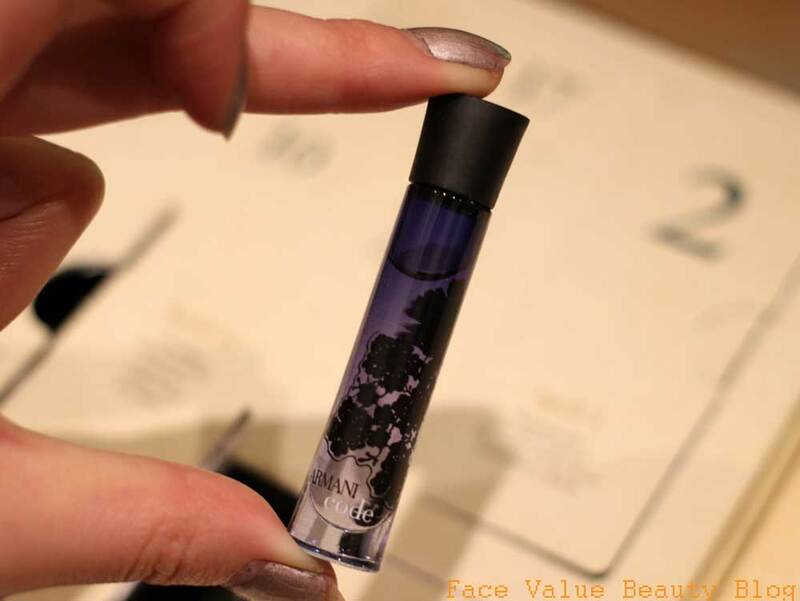 Another cute perfume sample – La Vie Est Belle – aka the Julia Roberts one. It smells really nice, I wouldn’t mind getting this full size! The bottle is adorable too – I love these sample sizes, they’re perfect for putting in your handbag for a daytime freshen up! 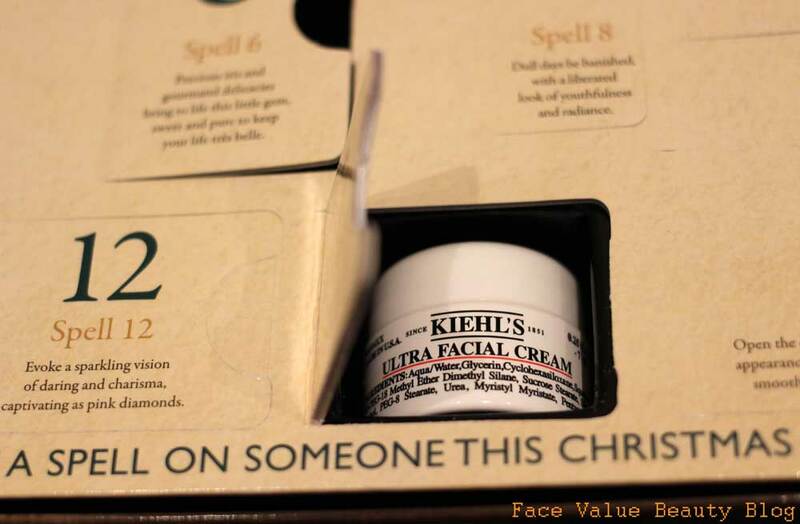 Now THIS one, I love – the Kiehl’s Ultra Facial Cream – lovely and smooth without any of that artificial scent. It feels very expensive on the skin and good for all skin types – I would buy this full size! Forget about the Opium disaster of Day 1 – this Armani Code perfume is lovely! I would definitely get this full size! These perfume samples look small but actually last quite a long time! I ADORE DAY 10!! 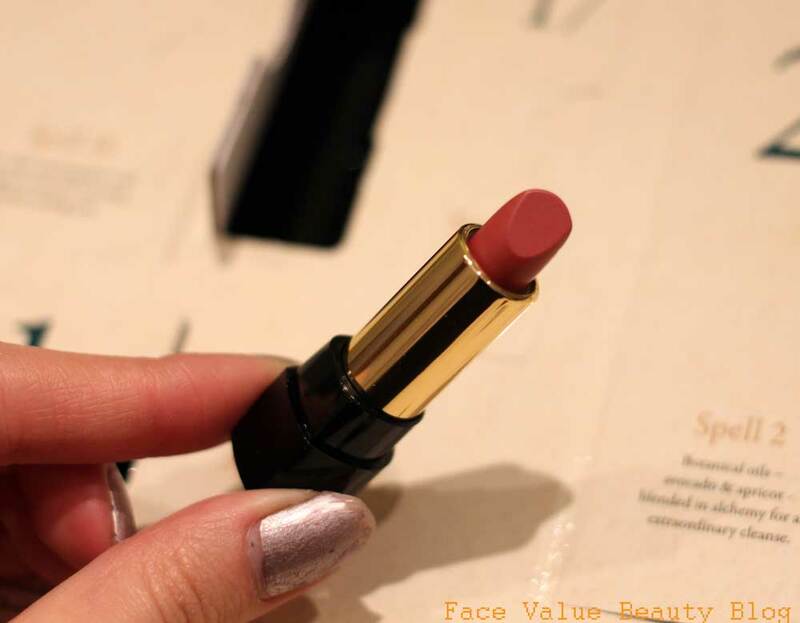 A mini Lancome Absolut lipstick! The perfect size for dropping in your party clutch and a lovely wearable colour which will suit all skin tones! There is SO much Lancome in this calendar. And I ain’t complaining! 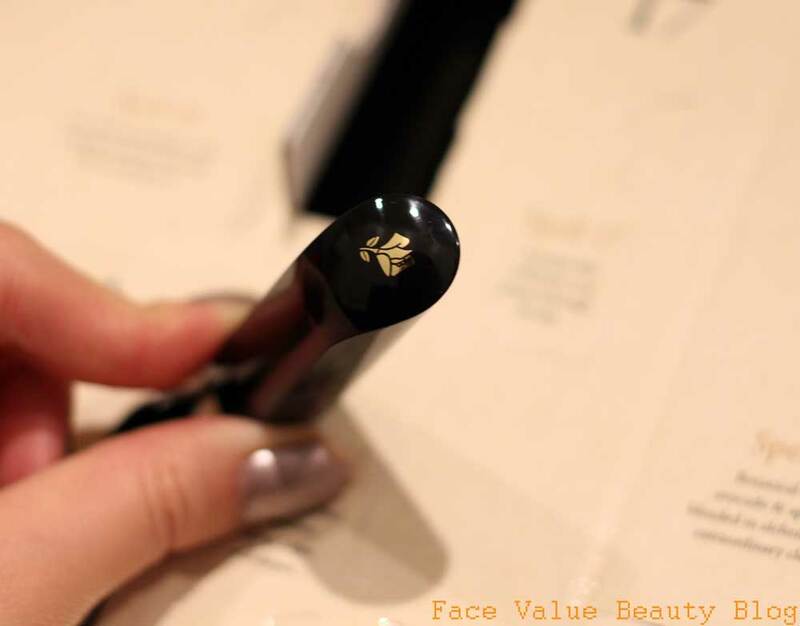 A mini sample of the Lancome Hypnose Drama mascara – I’m a huge mascara fan and I will try any and every brand out there! 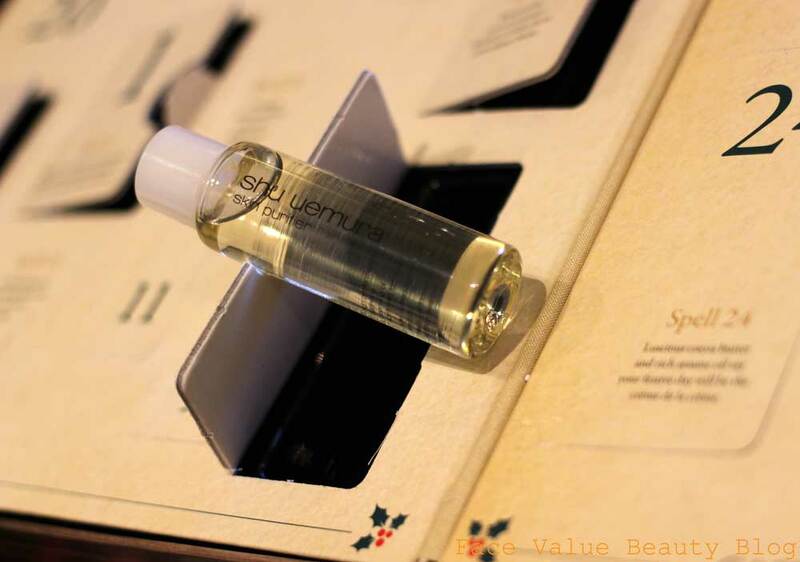 Finally – ending my 12 days with a GREAT sample – the Kiehl’s Midnight Recovery Concentrate aka the best facial oil ever. Super light and easily absorbed – I would DEFINITELY (all capitals) buy a full size version of this! 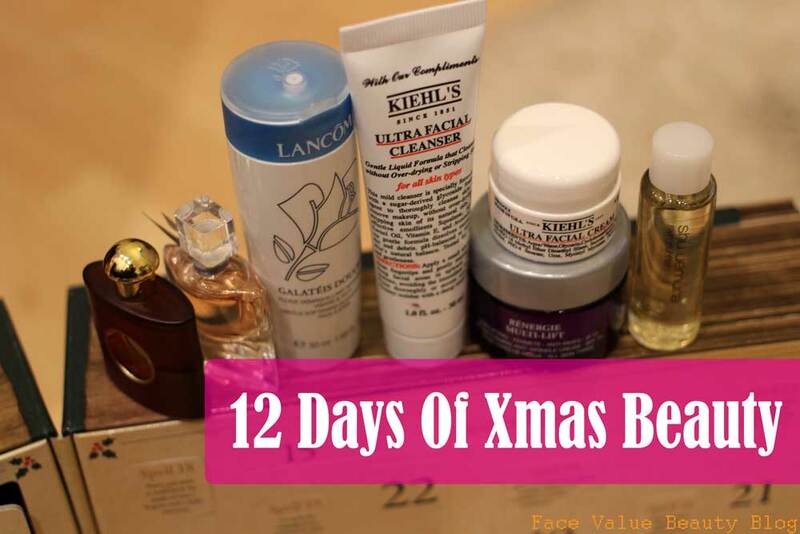 So there we go, a quick round up of my first 12 days of christmas beauty! I cannot wait until for the next 12!! Tried any of these bad boys? Which ones do you like the look of? Next Post Xmas WishLUST. Beauty Gifts You Never Knew You Wanted.